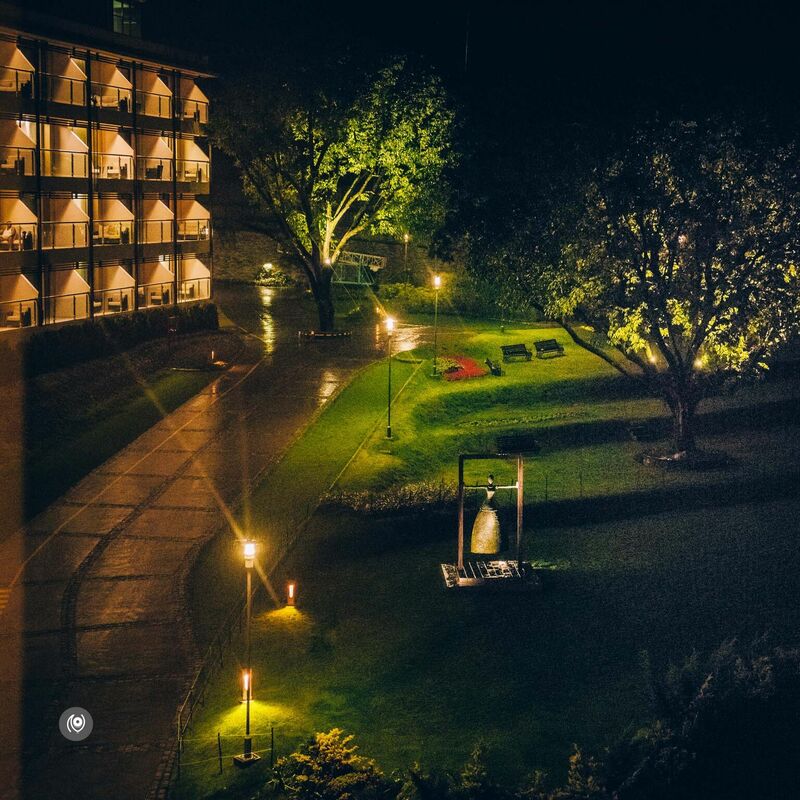 The last time I visited JW Marriott Walnut Grove Spa & Resort Mussoorie, was in the month of February. This time around, I was there during the Monsoons. 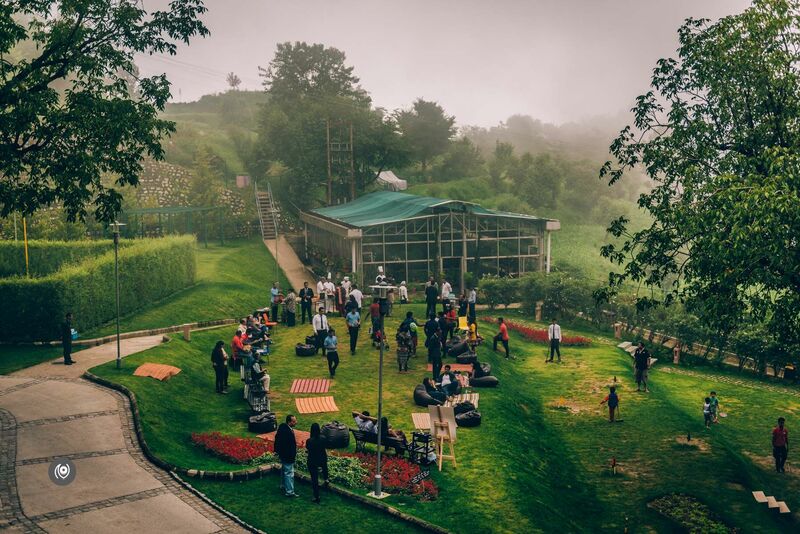 As expected, the resort has a completely different vibe in different seasons and there’s already talk of going back during the winters when I’ve heard it’s covered with snow! 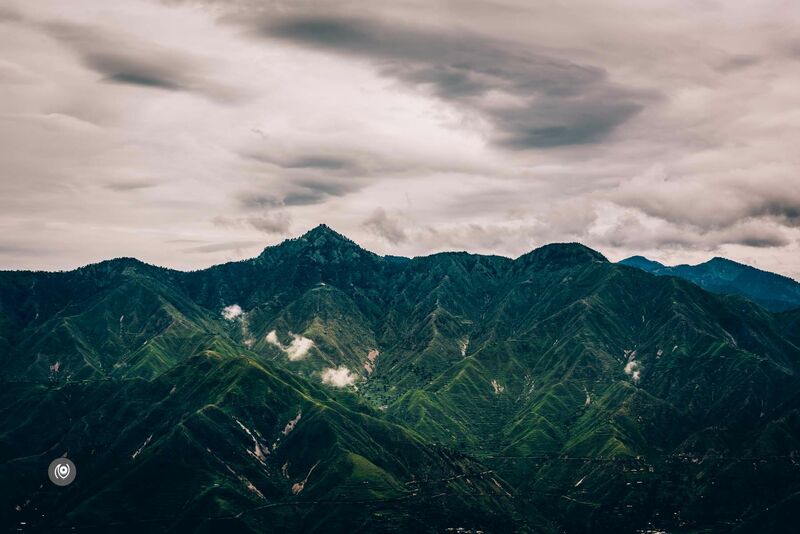 During the Monsoons, the view of the mountain ranges can be quite clear, far away in the distance. Mist descends in the evenings. There is a high likelihood of some spectacular sunsets and sunrises. If you’re a photographer – hobbyist or otherwise – you should quickly figure out where the Sun is in the mornings and evenings and then wait for the light show. I’m going to be doing a completely separate photo story exclusively of the views I photographed this time around! I’ve put together a photo story below in a way that captures a tour of the hotel highlights if you’re a guest and what a typical day could look like from morning till evening – from your room where you wake up to a round of Yoga in the lawn, a relaxing or deep tissue massage at the spa followed by breakfast with a view at the JW Cafe; private lunch at the farms or a specially made Garhwali Thali at JW Cafe or Trout House Grill & Bar; followed by the evening get together “kachdi” in the lawns – with chai and bhel puri or a tea service at Perch in the lobby’s balcony; and cocktails at the Trout House Grill & Bar followed by dinner and chef’s antics at Teppan. Remember, as with all of my blog photo features, you can click on any of the photographs and view a much larger version of the images. 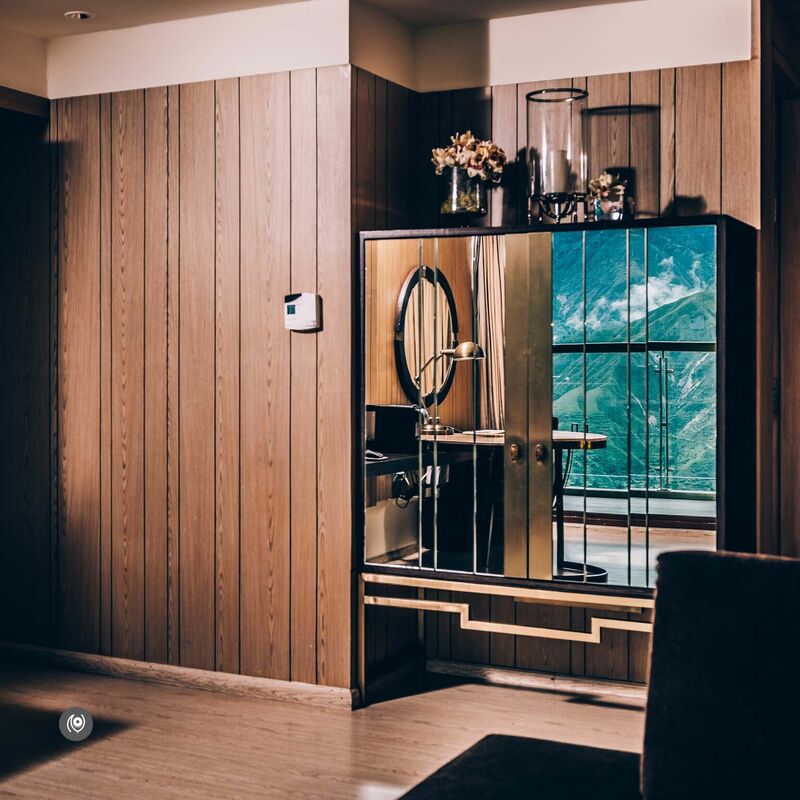 Above : The Studio Suite at the resort. 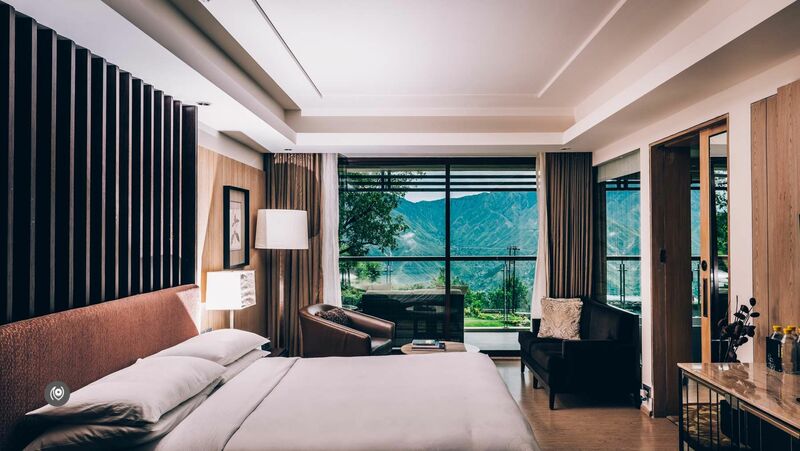 Overlooking the JW Lawns and Garhwal mountains. 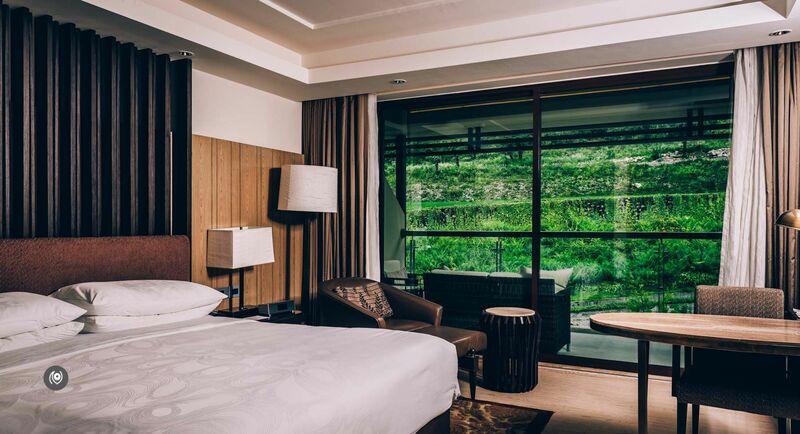 Above : Deluxe View rooms overlook the lush green garden of the resort. 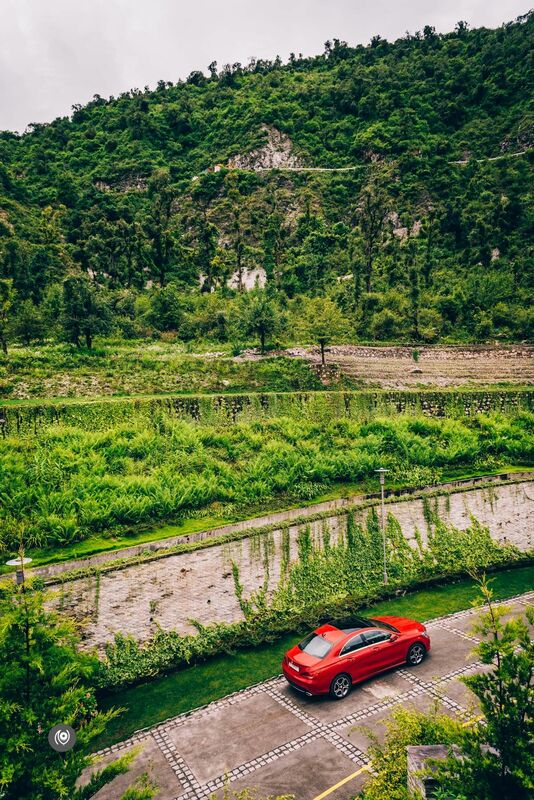 Below : View from the Deluxe View room – a splash of color thanks to a guest’s car. Overlooking the JW Terrace. 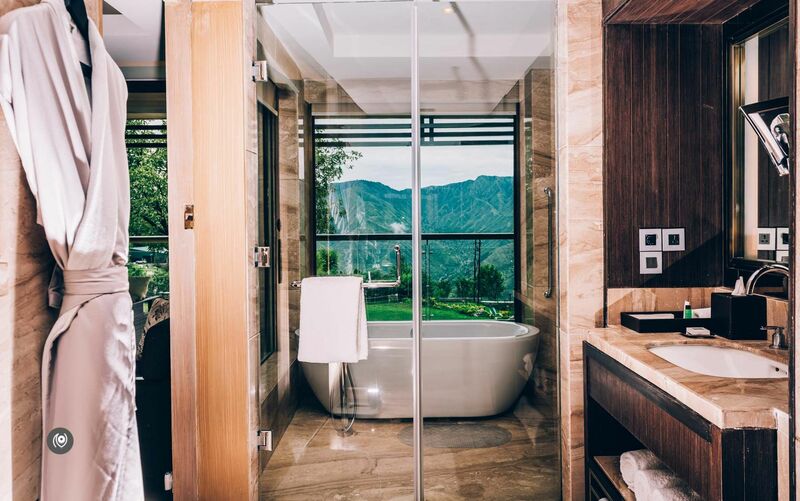 Below : The two Executive Suites overlook the Garhwal mountains and either the JW Lawns or the Trout House Grill and Bar. With one living room and a separate bedroom, the Executive Suite is perfect for families. The washroom offers a Jacuzzi apart from other amenities. 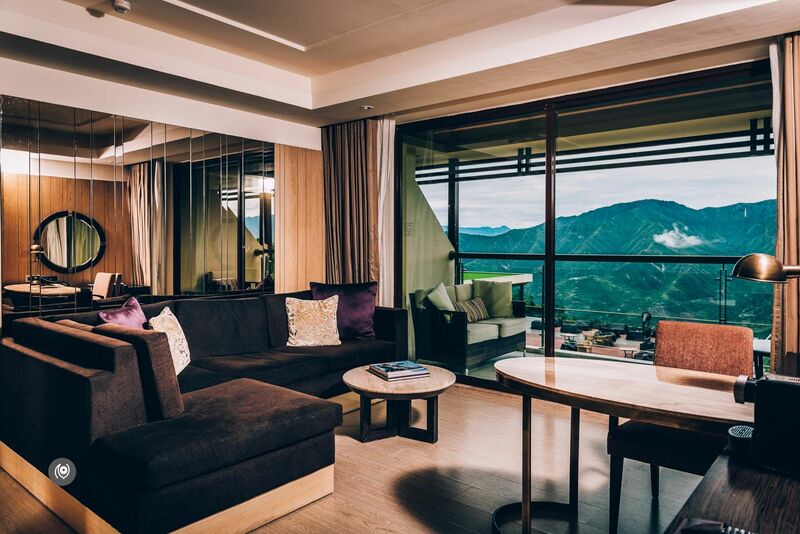 The Executive Suite comes with a balcony in both rooms. 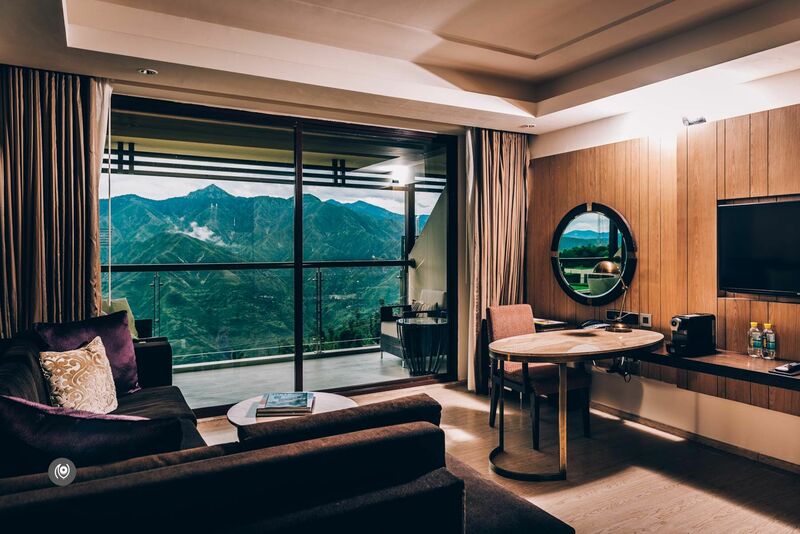 The decor at the Executive Suite also reflects the Garhwal mountains – some great photography potential if you ask me! All those reflective surfaces! Above : The resort offers a complimentary Hatha Yoga session every morning. Private sessions with the Yoga instructors are also available to address any specific health concern. I’m wearing fitness wear by Rrave – love the gradient colors on the tee and the tights. Above : A take-away hamper of L’Occitane products. 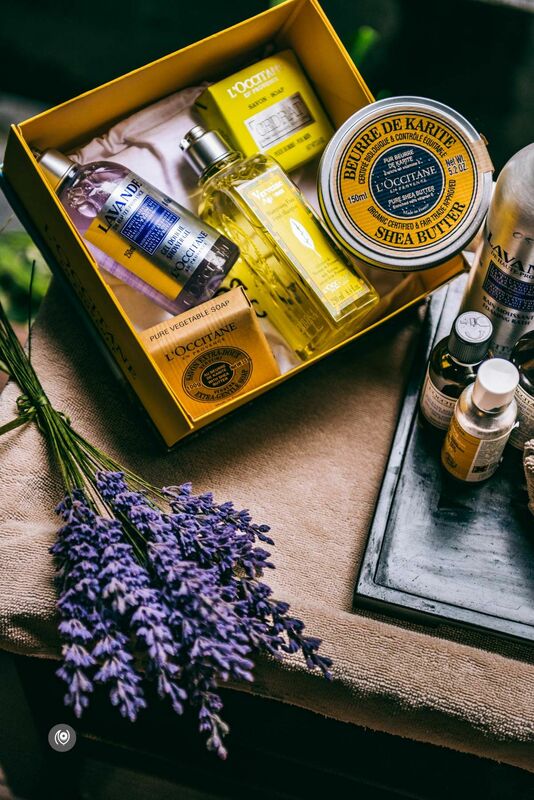 Guests can now shop and buy their favorite L’Occitane products from the Cedar Spa. 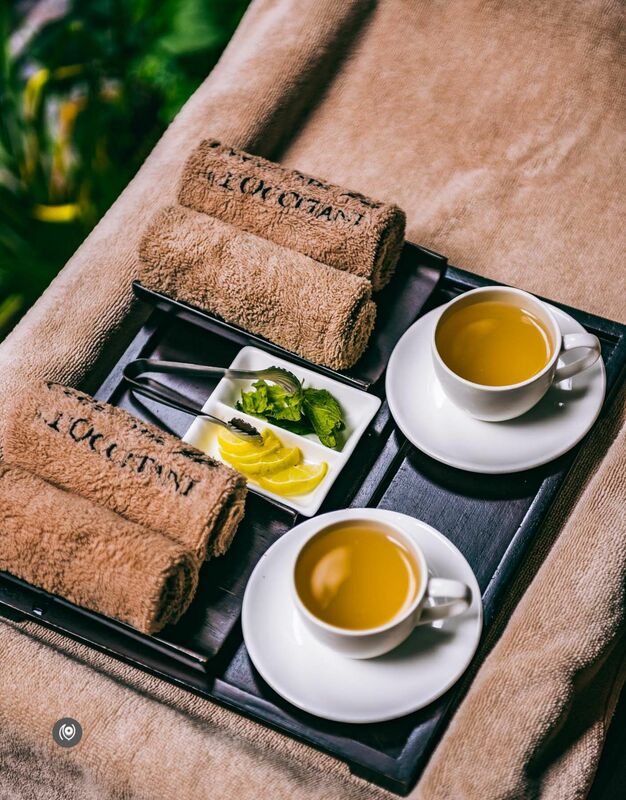 Below : A welcome ritual at the Cedar Spa by L’Occitane. 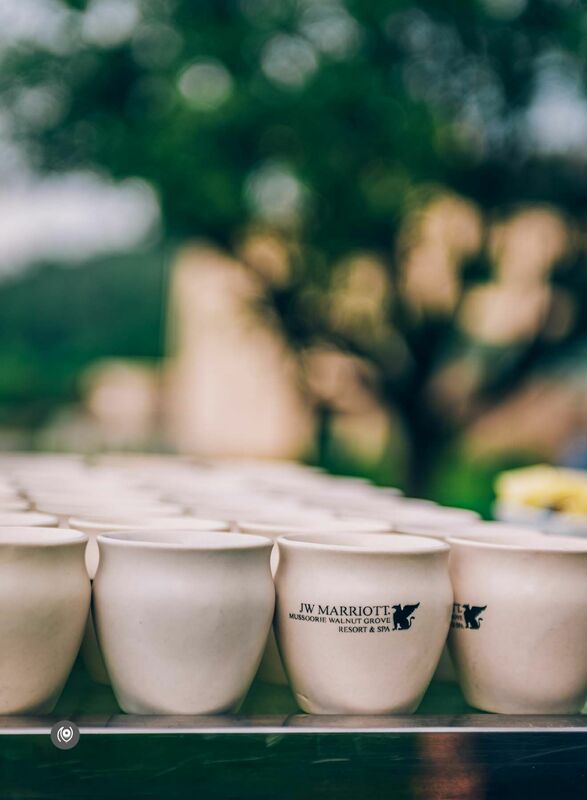 The herbal tea is presented to all guests while they decide about the treatment they want to experience. Akanksha especially is a huge fan of the herbal tea and asked for seconds. Meal with a view at the JW Cafe. 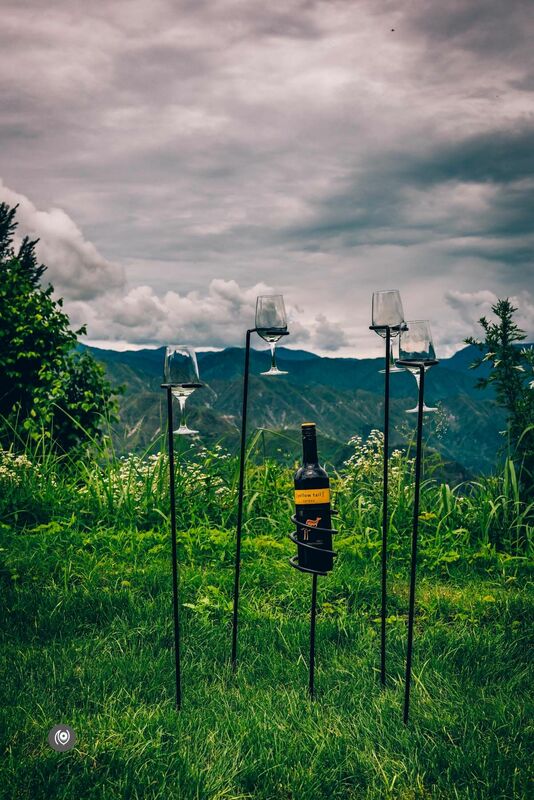 The resort offers scenic views of the Garhwal mountains from each of its restaurants. Breakfast of champions for sure! The chocolate croissants were hot, fresh and lovely. Of course, there are many options to cater to all kinds of requirements – if you don’t want sugary things to heap your plate with, there’s fruit and eggs and sausages of many shapes and sizes. Among other options – couldn’t possibly list everything here! 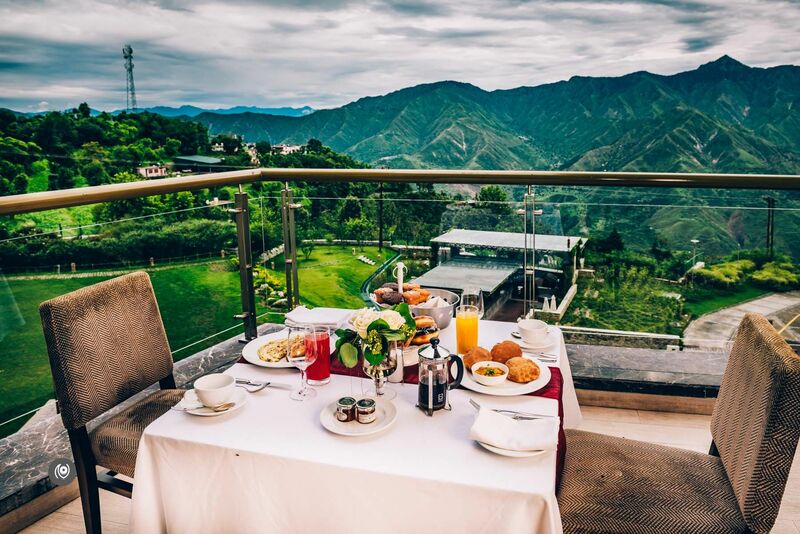 Above and below : The property organises Breakfast, Hi-Tea and Lunch at various outdoor locations in and around the resort. These are photographs of the lunch set-up at JW Farms. 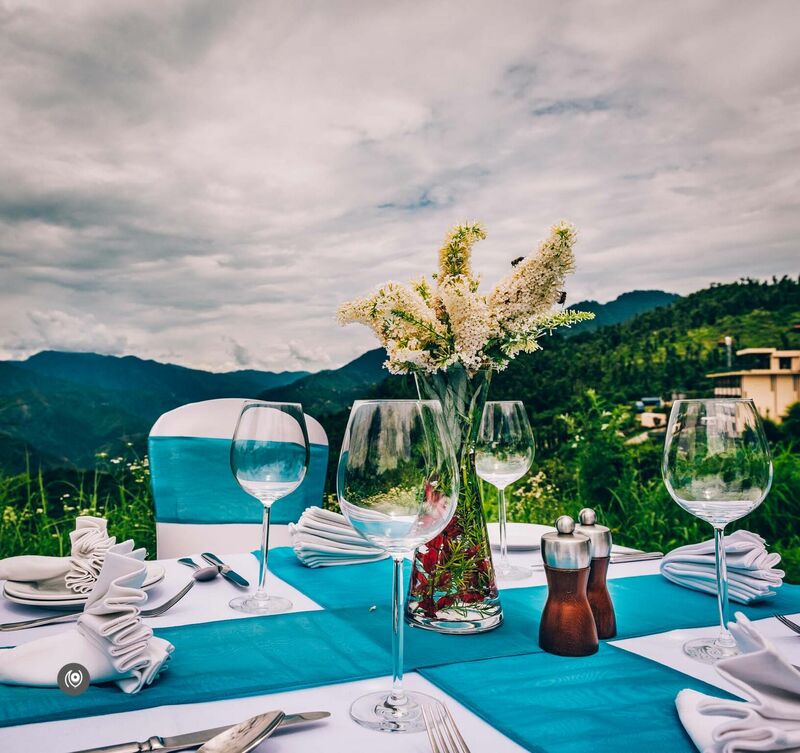 Any Unique Dining Experience you opt for, presents a beautiful view of the Garhwal mountains. You can expect a lot of drama in the skies during the Monsoons. 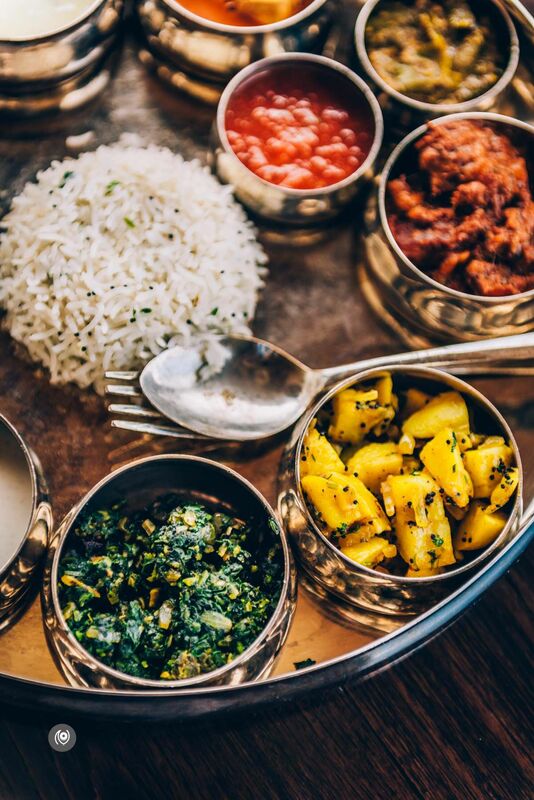 Below : Relish local fare of a Garhwali thaali at the Trout House Grill & Bar. 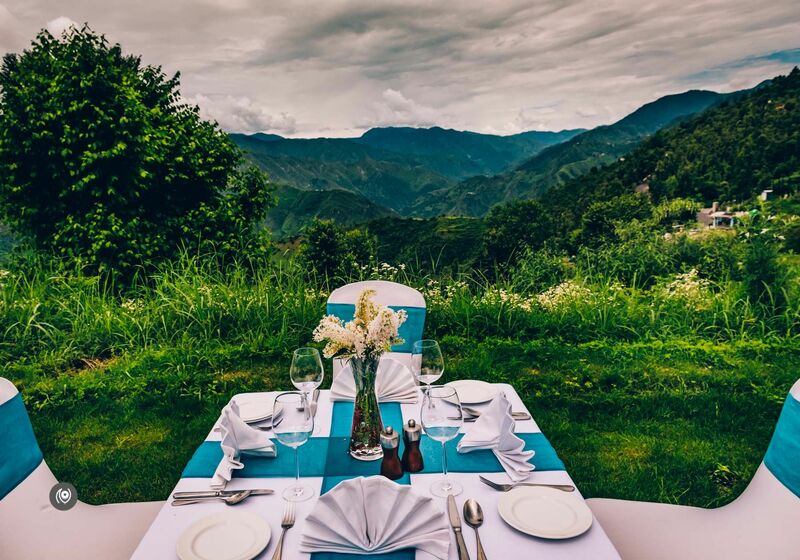 The resort offers multiple options for Meal With A View. 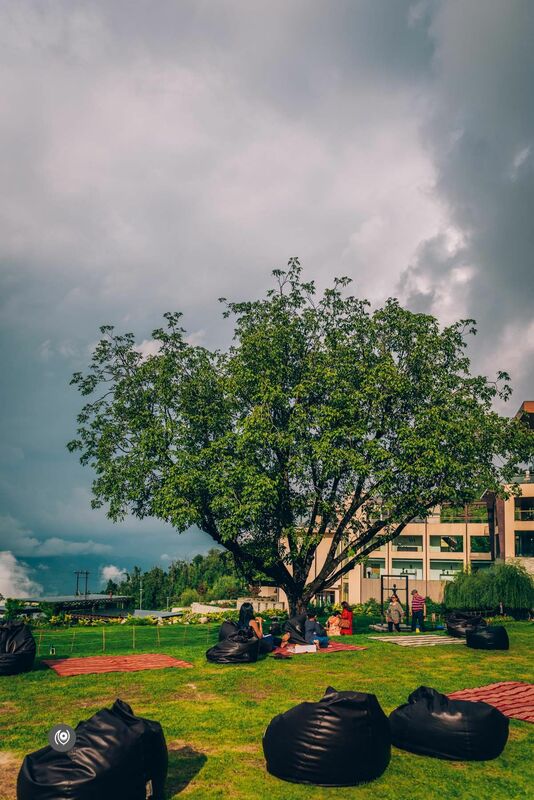 The series of photographs below are of Kachdi – a unique experience offered by the resort – the set-up consists of relaxed seating in and around the walnut trees. 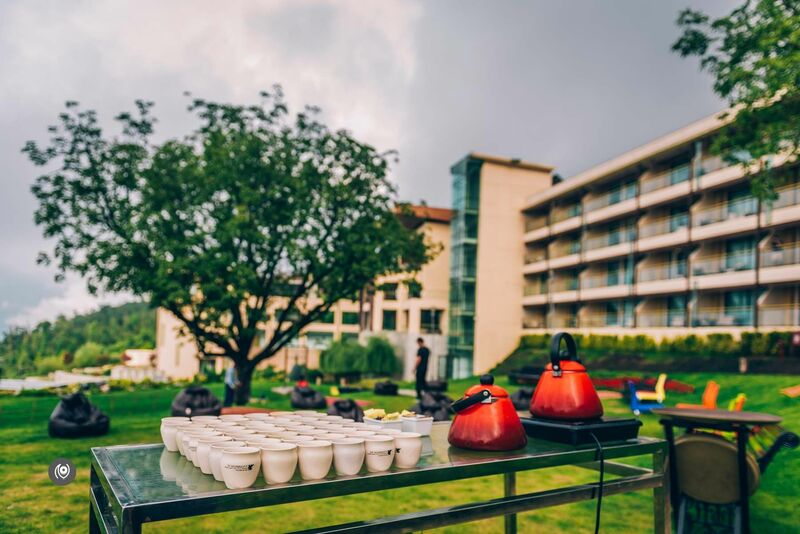 Every evening guests are invited to a Garhwal inspired hi-tea of masala chai, snacks, live music and games. 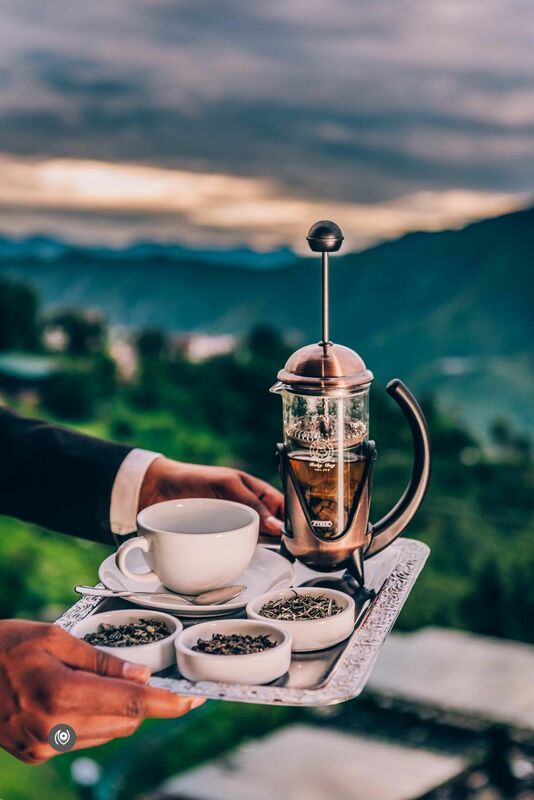 Kachdi in Garhwal means an evening get-together of chai. 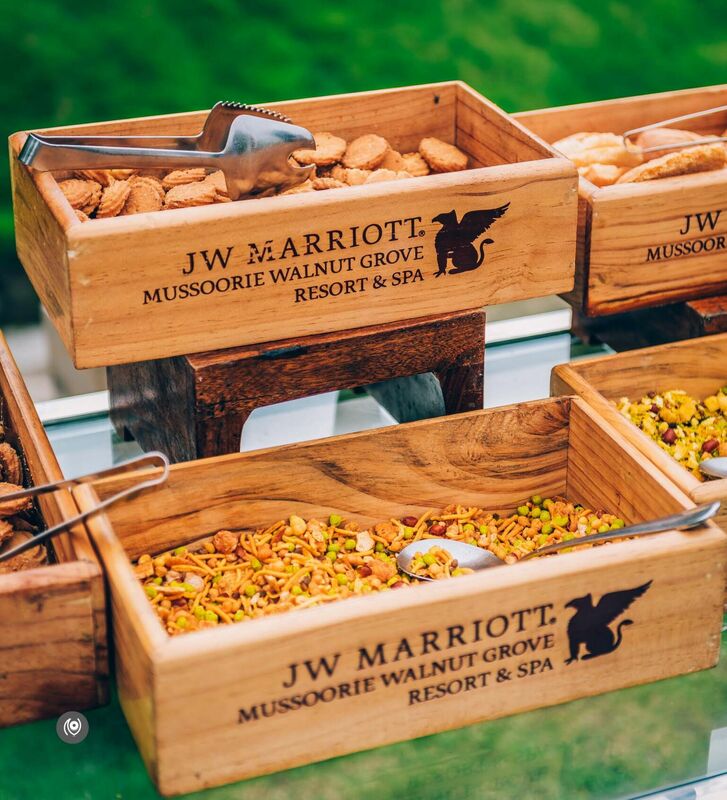 The resort offers snacks sourced from renowned vendor in (Prakash brothers) Mussoorie and (Ellora’s) Dehradun during the Kachdi. ( Kachdi is a complimentary service by the resort. ) 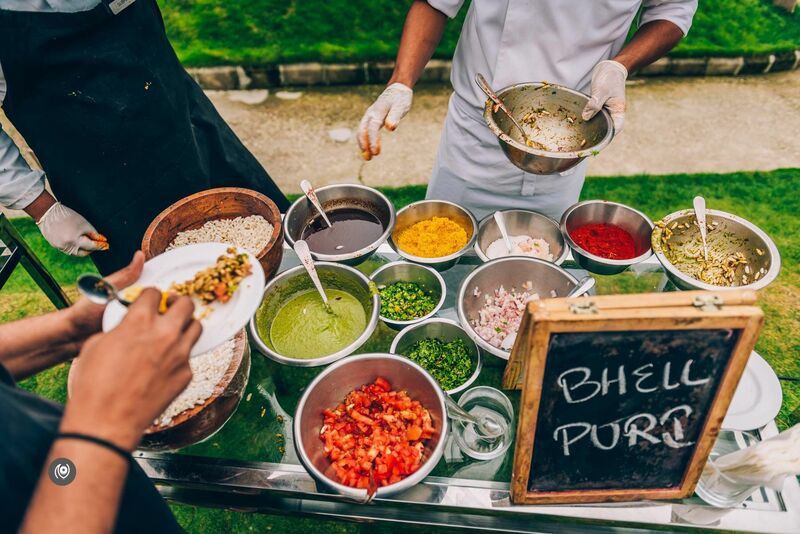 The rotational menu of Kachdi also consists of delicacies like Bhel Puri, Pani Puri, Bhutta, Candy Floss and Garhwali Masala Chai made as per guest preferences. 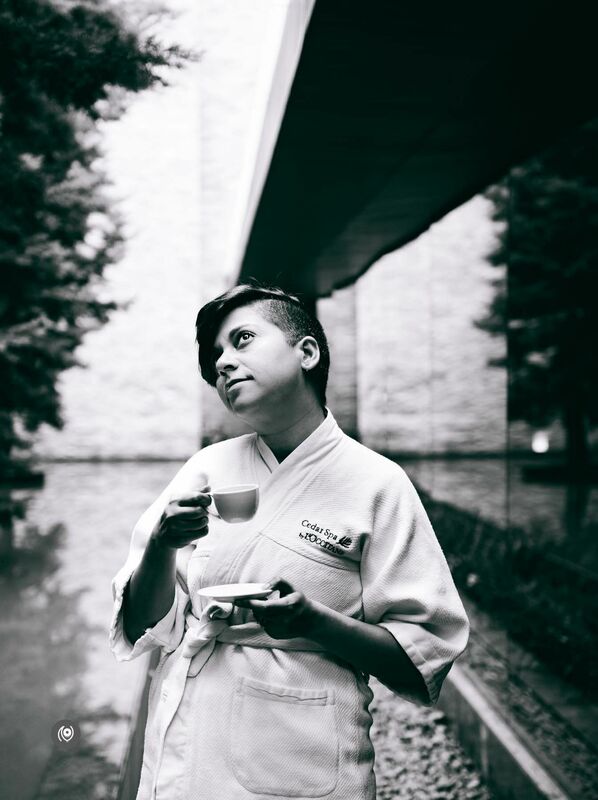 Below : The resort offers tea-tasting at The Perch – tea and coffee lounge. Guests can taste and buy assorted teas post the tasting. 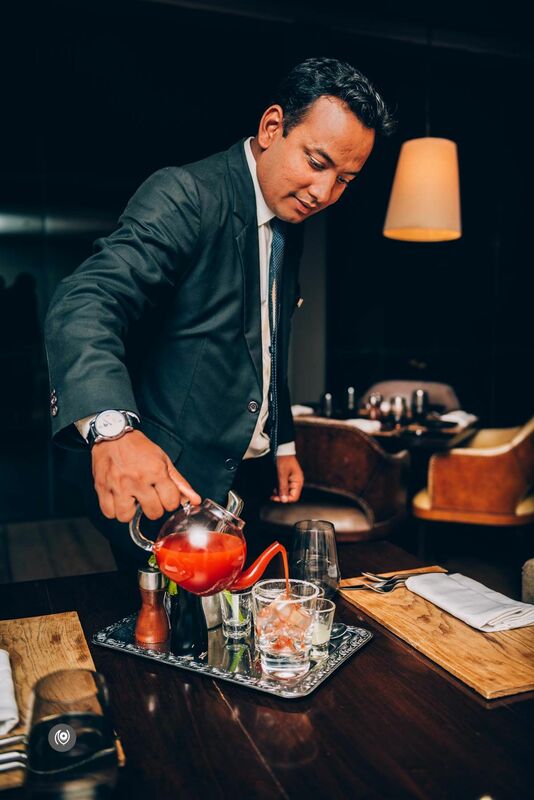 Below : At the Trout House Grill and Bar, you can ask for your cocktail to be made right in front of you. 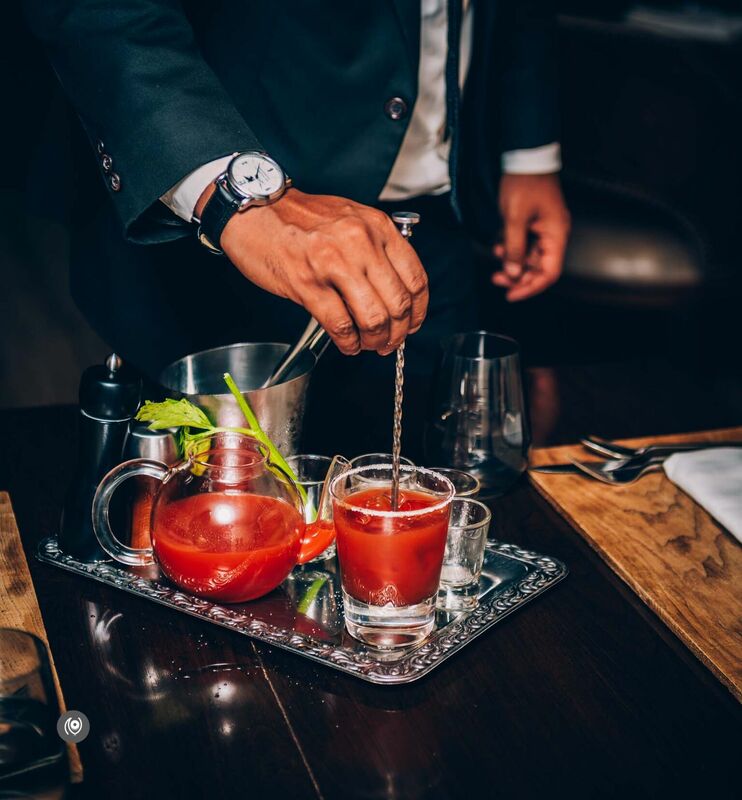 Do try their new concept of ‘Cocktails on the table’! It’s a nice way of getting to know the staff better and you can ask for that wee bit of extra lemon right there without having to wait. 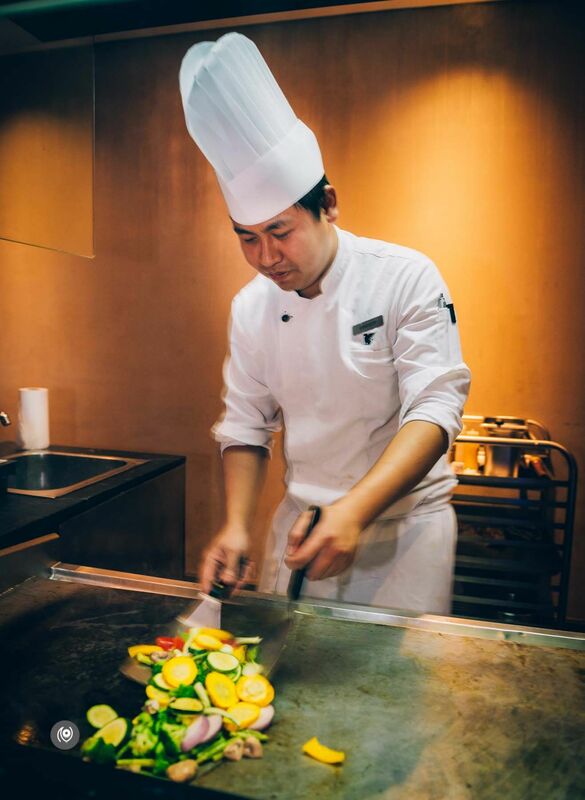 Below : Teppan – the asian restaurant offers a Teppanyaki grill where the chefs prepare your meal right in front of you. There’s quite a light show with fire and fresh vegetables. On this same trip, I also visited a local Garhwali village called Bhatoli. The photo story of that local sojourn has been blogged as well. I also photographed a series of portraits for the hotel – an #EyesForPeople series of the team that works had behind-the-scenes to make this resort one of the most heavily booked properties in India. 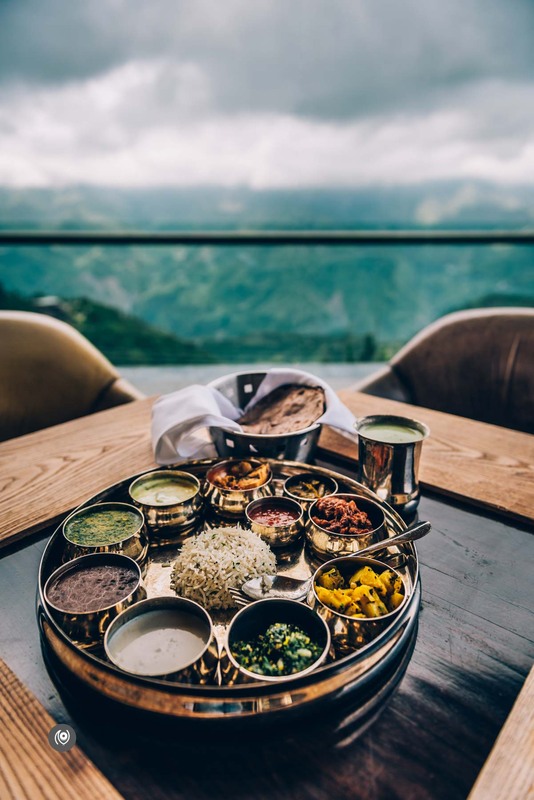 A sneak peek to this assignment was this “What Was I Doing In Mussoorie?” blog post where I announced what was to follow. 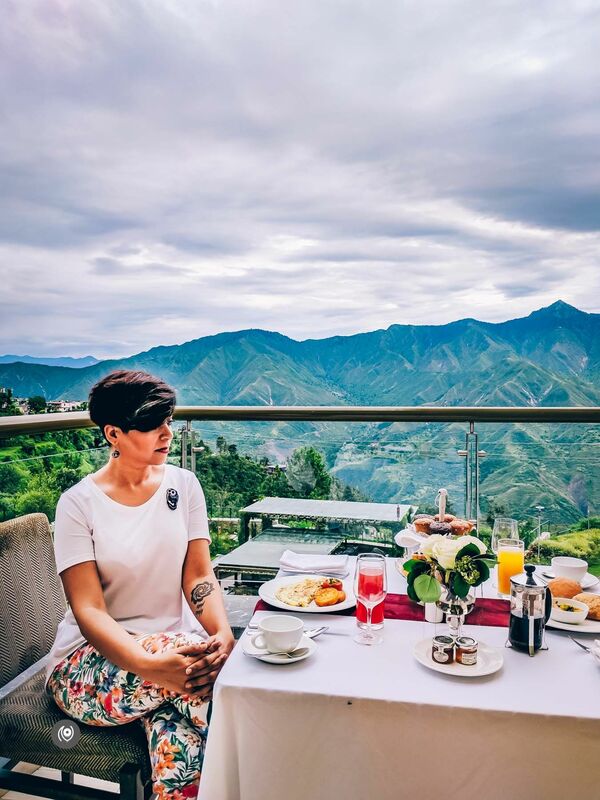 For all Naina.co photo features with JW Marriott Walnut Grove Resort & Spa, see the #NAINAxJWMussoorie hashtag. For all travel related photo features, see the #EyesForDestinations category.